So HotHardware has gotten the scoop on the high profile move of the day: Tom Peterson, formerly of NVIDIA, has left for Intel. We reached out just now to our own sources and can confirm the same (as well a few more choice morsels on the details). We have learned that Tom Peterson will be joining as an Intel Engineering Fellow and will be reporting to Ari Rauch. While his position at NVIDIA was a marketing based role, he will be joining the engineering group at Intel and was recruited by Ari Rauch. Tom is going to be responsible for defining and delivering on the quintessential gaming experience – something Intel is going to be very particular about igoing forward. Considering he has previously worked with NVIDIA GSync and helped improve the gaming experience over at NVIDIA, we are sure he will be a great fit in his new role. Some of his goals will include how to make the gaming experience better and participating in the innovation pipeline. Intel has been snatching quite a few high profile executives from pretty much all major companies (AMD, NVIDIA, Tesla – you name it) and is quickly turning into one of the greenest pastures for (graphics) industry veterans to migrate to. All of this is part of their plan to diversify from CPUs into GPUs; an effort that is led by Raja Koduri and something that will bear its first fruit in 2020 with Intel Xe. 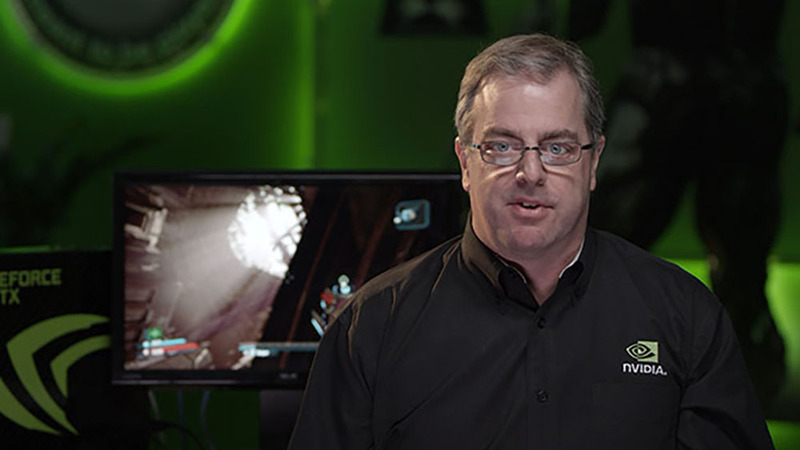 “Tom has been Director of Technical Marketing with NVIDIA since 2005. An avid gamer, he spends most of his time on RTS’s his advancing age has atrophied his twitch reflexes (he is really looking forward to Starcraft II). Before NVIDIA, Tom spent most of his career as a CPU designer starting in 1991 with IBM and Motorola on the PowerPC team. Jumping on the dot com bandwagon, Tom headed to California in 2000 to join a small startup company – SiByte – later acquired by Broadcom where he served his time as the Engineering Director for the BCM1400 – a multi-processors embedded CPU.